As the days become smaller until the Oscars ceremony this coming February 28, I have become so anxious to watch every movie that is nominated. 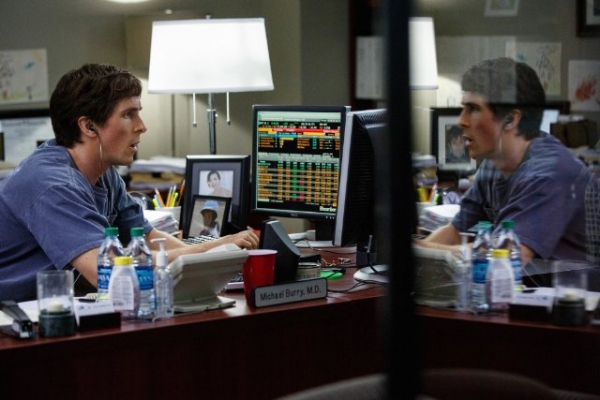 The Big Short is currently one of the frontrunners of the race, and it is very hard to miss a frontrunner, otherwise you would blame yourself for ignorance once you hear the presenters announce it as the winner comes ceremony night. 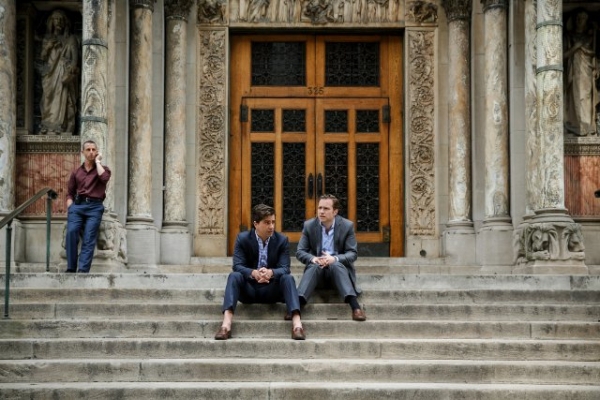 The film explores the story of four bankers who foresaw the collapse of the stock market because of the greediness of the bank. At first they were excited for the stock market to collapse because they had bet against it, but pretty soon they realized its tremendous effect in the world economy as well as everyone involved. The film stars Christian Bale, Steve Carell, Ryan Gosling and Brad Pitt although there were a lot of other names as well that makes it a great ensemble. Directed by Adam McKay, written by McKay and Charles Randolph based on the novel by Michael Lewis. And the film is based on true story, so if any of you loves movies that are based on the truth about this world, then I would highly recommend this for you! The Big Short is one of the rare films of the past year that somehow managed to make me laugh and feel pain at the same time. Perhaps that credit should go to the outrageous mind director, Adam McKay, for pulling it off! Making this movie enjoyable and understandable for all the viewers who don’t have backgrounds in stock exchange was the best move. The unconventional storytelling is what I love the most in this film. It wasn’t “strictly” normal for all the films that I watched, and it was a standout. The screenplay was straight-out very interesting and humorous as well, without all the talk and blunder that were very hard to understand at first. The cast were perfectly fine as well, but of course there are those that stood out among others! First off we have The Dark Knight “Christian Bale”, who was introduced as a genius loner who had a small-team company, he was the first one to foresee great changes in the future after reading a somewhat long list of values in his computer. He’s talking a lot of business jargons in this film, “credit default swaps”, “subprime loans” and all others I don’t have any idea of, but as I said, the screenwriters and the directors made it easier for everyone to understand! I love his seemingly anguish behavior, in fact he’s a heavy-metal lover but he has a very calm personality when he deals with people. I have problems with him in the beginning, but so then I understood what it feels like to understand what was coming when nobody else could. I felt sorry when everyone tried to diminish his bold predictions, and he had to buy $1.2 billion in swaps. Although in the end he succeeded, and even when he did, he remained humble and calm, and he still listened to heavy-metal music! His Academy Award nomination for Best Supporting Actor was totally deserved! 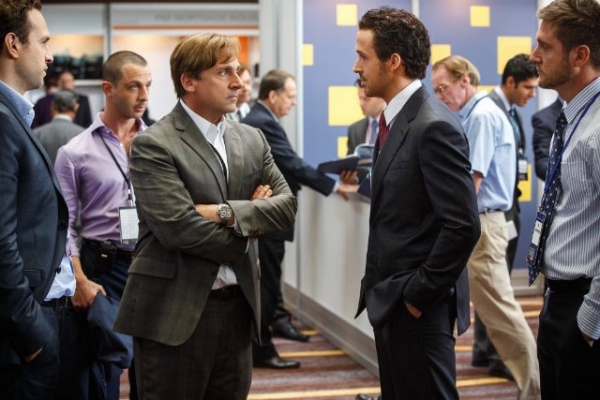 Steve Carell was also great in the film, he managed to pack an emotional punch, which was surprising for someone like him who work in the stock exchange industry. He felt sorry for the nation because people were about to suffer at large, and I felt sorry for him too. He was very irritating at the beginning, in fact I hated his character first, but there’s always some backstory in this sort of acting, and so then I learned he lost someone very close to him, and he keep blaming himself for offering money instead of comfort. His breakdown at the end were among my favorite part of the film, it almost felt real, and emotional. See? It’s almost a “comedy” movie and then this part happened. Thanks again to McKay for pulling it off, and also to Steve Carell for showing us he is human instead of an actor! All other characters are either comedic (Ryan Gosling) or serious (Brad Pitt) but they all work together creating substories before everything went downhill for the world. Ryan Gosling’s character was to me the funniest of them all, but he is very disturbing in some scenes, adding nothing and too much at the same time. I didn’t recognize Brad Pitt at the beginning, but his role wasn’t that big enough, in fact I think he’s just Brad Pitt playing Brad Pitt. There were some pretty interesting cameos throughout the film as well, which added great entertainment value. Technically I think the film is mediocre at best. But it is forgivable because this is a film that tells a story, not a visual spectacle. Other than the editing and screenplay there are o proper emphasis in the cinematography and score, and the music selection was not up for my liking, probably because I don’t like heavy-metal, but it doesn’t distract any audience at all. Personally, I think this film is good. But I don’t think it should be the one to take home the Best Picture award comes the big night. Not because I don’t like the film to win but because I think there are greater films that told greater stories (I’m talking about Spotlight). 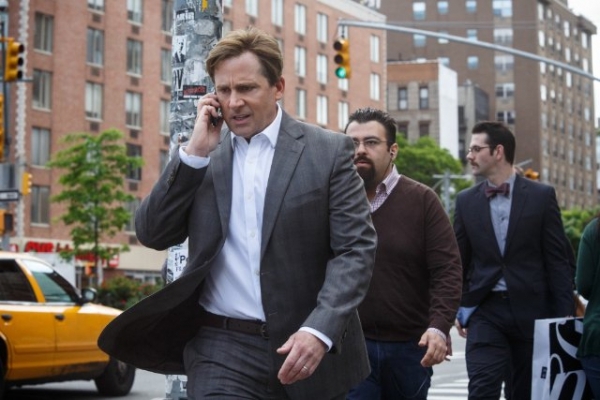 A very complicated film made for everyone to like, The Big Short is a very bold offering from McKay, and with a very brilliant cast and screenplay, it’s certainly a must-see. I love movies that are based on true stories. 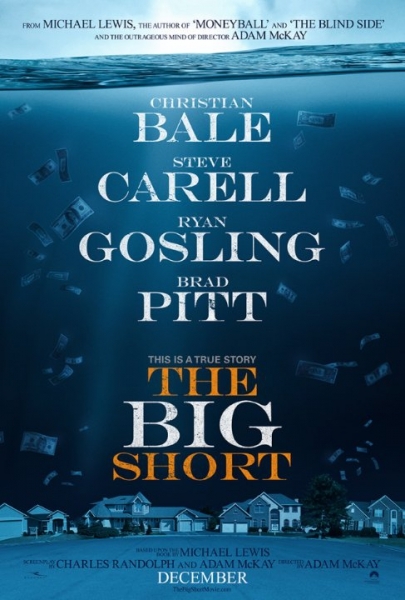 “The Big Short” sounds great and I liked the feel of the movie trailer. The review made me think about my own life and how it’s also important to watch these kind of movies.